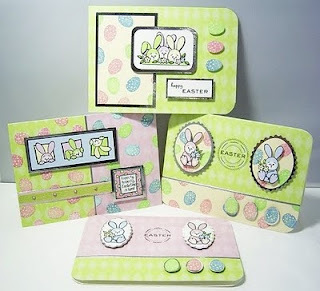 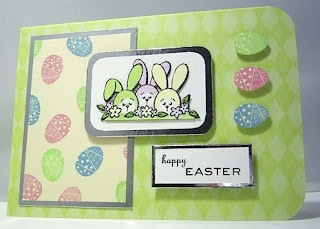 The "Happy Easter" word stamps are from my friend the extremely talented artist Paula Pascual, which sold out very quickly from QVC UK recently. 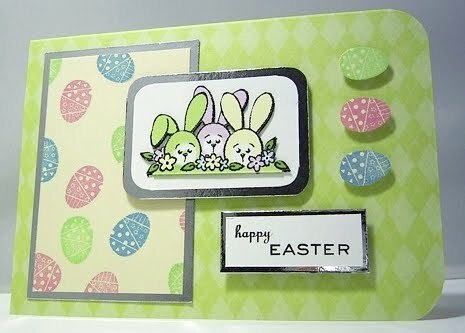 Sweet Cards Vince, literally! 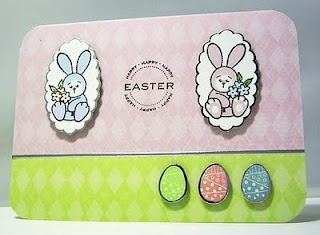 They remind me of those little coated chocolate eggs we can't get enough of haha! 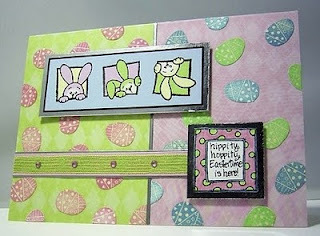 Cute bunnies and lovely cards. I just posted all of mine today.